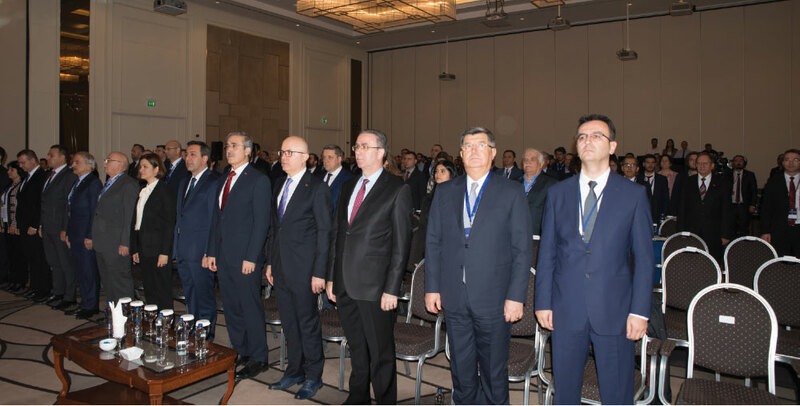 The workshop was held in Ankara on 14th December and the Undersecretary for Defense Industries Prof. İsmail Demir and representatives of various defense industry companies participated in the event. 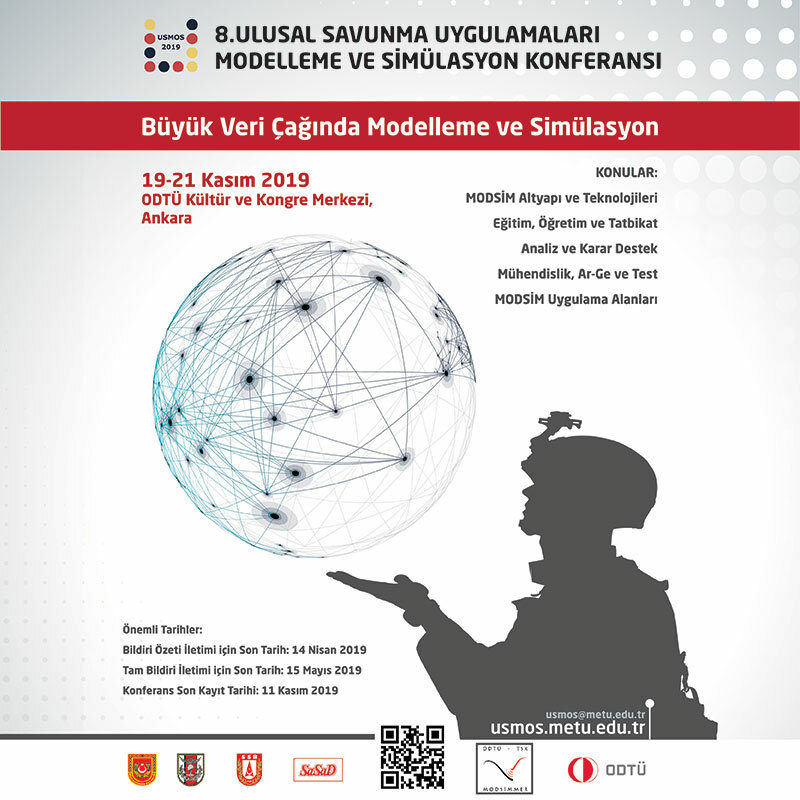 The opening speech of the workshop was delivered by Mr. Gökhan Uçar - Department Head of the Unmanned and Smart Systems at the Undersecretariat for Defense Industries. Mr. Uçar made an overall presentation on the activities conducted by the Undersecretariat, nationalized sub systems and visions on the future. 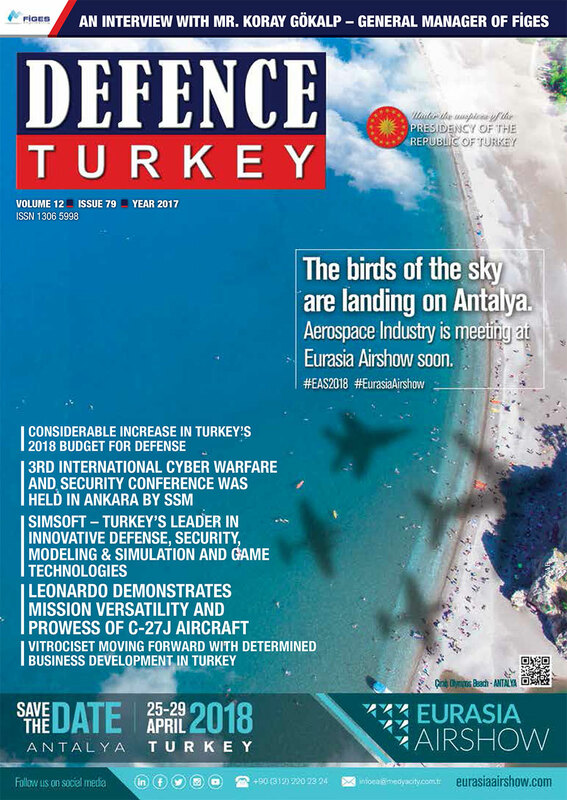 Mr. Uçar stated that while the Undersecretariat for Defense Industries continued to fulfil the existing requirements of the Turkish Armed Forces, and as a result of the consultations conducted with the stakeholders, they pursued their strategic activities to develop the systems of the future in accordance with the operational requirements of the next decade. In the presentation it was underscored that Armed Reconnaissance and Attack, Close Air Support, Air Defense Support, Target Identification, Detection and Marking, Riot Control Systems will stand out in the next ten years, while concepts relating to Search and Rescue, Medical Response, Engineering, Mine Sweeping and Neutralization, Bomb Disposal, Fire Extinction and Facility Safety relating to Protection, Transportation of Ammunition and Military Equipment as well as Combat Engineering concepts related to logistics would continue to gain importance. Department Head at the Undersecretariat for Defense Industries Mr. Gökhan Uçar’s presentation also featured unique Unmanned and Autonomous systems which have been developed and are in the inventory of the Turkish Armed Forces as well as the sub systems nationalized as a result of such development programs. In the presentation, it was mentioned that critical sub systems were nationalized such as Ground Control Station, Data Link, Remote Video Terminal, Satellite Ground Terminal, Engine, Image Processing, EQ/IR Camera, SAR, Wide Area Surveillance, Mission planning Software, Ammunition, Flight Control Computer, Autopilot and Automatic Take-Off and Landing Systems. Addressing the participants in his opening remarks, Undersecretary for Defense Industries Prof. İsmail Demir underlined that human resources were one of the most critical issues regarding the defense industry. He stated that the workshop would provide significant input to the formation of human resources specific in this area and that it will contribute to the formation of the road map as well. The Undersecretariat for Defense Industries has worked toward the training and development of human resources for the defense industry. Prof. Demir noted that the Defense Industry Academy launched the Defense Industry Youth Project which includes Middle School, High School and University students to direct the dynamic structure of youth towards new technologies, enhancing their awareness while raising the national conscience and self-confidence. Following the opening remarks, the Panel on Land Group’s Vision Sharing commenced, moderated by Mr. Ahmet Raci Yalçın - Project Manager at the Land Vehicles Department of the Undersecretariat for Defense Industries. In attendance as panelists were BMC Project Manager Mr. Doruk Akyıldız, Program Manager in charge of New Projects at FNSS Company Mr. Koray Ulu and Unmanned Land Vehicles Project Manager at Aselsan’s Unmanned Systems Projects Directorate Mrs.Çiğdem Şen Özer. Mr. Akyıldız underlined that two critical unmanned systems would be integrated to the Kirpi MRAP vehicles as part of the New Generation Kirpi MRAP project signed on 8 August 2017 at the Undersecretariat for Defense Industries and he shared crucial information on this program with the participants: “Two major unmanned systems which are the Explosive Ordnance Disposal (EOD) Vehicle and the Improvised Explosive Detection and Disposal Vehicle will be integrated within this program. The robotic arm, to be integrated to the vehicles and the systems enabling the remote control of the vehicle, were developed by Aselsan. Moreover, Kirpi-2 vehicles will be equipped with the Sarp Dual Stabilized Advance Remote Weapon Platform. The robotic arm, that had been displayed in its prototype stage for the first time at IDEF 2017 at BMC’s booth, will be integrated with the Kirpi-2 MRAP vehicles. These vehicles will be procured in line with the requests stated by the Turkish Armed Forces within the framework of the tender specifications and the responsibilities of BMC. Improvised explosives, mines and suspicious objects will be detected and destroyed with the help of the 8-meter long arm that will be integrated to the front of the vehicles. The system is controlled onboard and capable of lifting a maximum of 200 kg. It will have the following capabilities: Radar which is integrated to the end of the arm and capable of detecting cables and penetrating into the ground (Mini GPR), Imaging Cameras, Image Recording System, Cable Cutter Apparatus, Rake Equipment, Close Distance Imaging at the end of the arm, camera placement configuration for situational awareness at the rear of the arm, water ball equipment for responding suspicious objects, grip composite telescopic arm accessory for providing surveillance and intervention capabilities to its user within culvert, etc. Within the New Generation Kirpi-2 vehicle program, two new vehicles will utilize remote control of the vehicles through the portable command unit which is developed by Aselsan It will enable unmanned utilization with the help of the Tactical Vehicle Command Kit which will be procured as part of the program. It will be conducted and managed by personnel with the portable command unit located within the vehicle which can follow behind if required. With the help of the Tactical Vehicle Command kit with a minimum of 500 m of (LOS) communication distance; the vehicle and payload capabilities can be remote controlled; In addition, the cameras will provide vehicle image transfer and recording. The images received from the cameras can be transferred to the portable protection unit as a single or sectional image with 4 images. The detection and destruction of the improvised explosives and mines will be conducted securely through the robotic arm that will be placed on the front of the two unmanned Kirpi-2 vehicles which planned are planned for procurement. This project is expected to be completed within 2018. Program Manager in charge of new products at FNSS, Mr. Koray Ulu, enlightened the audience on the unique solutions and concepts developed in the world regarding unmanned and smart systems. “Hybrid vehicles will dominate the market from 2030 onwards. When we analyze the breakdown of this report, Hybrid Vehicles are expected to have a 28% share in the market, while gasoline powered vehicles will probably have 25%, electric vehicles 20%, plug-in hybrid vehicles 18% and diesel vehicles would take 9% of the market. Especially as a result of the investments made, battery technologies have become more cost efficient and we will be able to see more of those vehicles on the roads in the future”, said Mr. Ulu. Mr. Ulu noted that as FNSS they aimed to establish an infrastructure in which improved sensor technologies could be easily integrated to their vehicles and added that when the main contractors active in the Turkish Military Land Vehicles industry designed the products of the company such as Aselsan - a pioneer in Turkey in this area - interoperable with their own sub systems, the era of the autonomous armored vehicles would start in Turkey as well. Unmanned Land Vehicles Project Manager at Aselsan’s Unmanned Systems Project Directorate Mrs. Çiğdem Şen Özer informed participants about Aselsan’s activities regarding unmanned systems, its future projections and investments. Delivering information on Aselsan’s road map regarding this area, Mrs. Özer stressed that they would be intensifying their activities for rendering the platforms unmanned in the upcoming period and continued: “We are capable of rendering all types of platforms in the Turkish Armed Forces’ inventory unmanned. We have no restrictions on any platforms. In the upcoming period we will be particularly concentrating on the tactical armed unmanned land vehicles. On the other hand, we are willing to reveal the unique Improvised Explosive Detection Robot, the sensor of which was developed by Aselsan in 2019. In addition to this, tiny disposable robots that could be launched and could provide intelligence also remain on our agenda. Within the scope of the requirements of the Turkish Armed Forces, we will focus on the development programs of the man-portable robots. Following the completion of the presentations was the Q&A session of the Unmanned Land Vehicles Vision Sharing panel. In this session, the importance of the communication between the developed sensor technologies was underlined and it was stated that various tests were being held over the platforms to this end. In this session where the level reached by the rivals in the world was also discussed, the common approach of the panelists was that Turkey did not lag behind in any of the technologies and it was stated that both NATO’s working groups and other developments in the world were closely followed. It was also mentioned that a crucial infrastructure began to emerge in Turkey and that the level of awareness increased each day while critical incentives and supports were provided by the government. Prior to the lunch break, the Air Platforms Group’s Vision Sharing panel took place and was moderated by Mr. Oğuz Özbal - Tactical and Special Purposed Unmanned Systems Project Manager at the Undersecretariat for Defense Industries. Mr. Murat Koç from Altınay, Mr. Tayyar Süngü from Baykar and Mr. Nevzat Polat from TAI participated in this session as panelists. Mr. Koç stated that Altınay Company’s Y6-850 platform capable of carrying 1 kg payload with an endurance of 30 minutes was off the shelf and added that their activities as part of the “Tepegöz” project and “PTT’s drone” project were carried out with relevant institutions. He underlined that, within the scope of Altınay’s vision activities, they continued to execute the Mini Class UAV program which will be capable of conducting operation, serial operation, kamikaze UAV and Search and Rescue tasks and he stated that they planned to reveal the prototype of this Mini Class UAV within 2018. X4-S mini UAV with 1 kg take-off weight will be capable of carrying payloads and have a LOS encrypted digital communication range of 2 km. With the help of its smart battery system, advanced level image fixation system and rapid installation, it will provide its user an operational flexibility in the operation environment. Underlining that they also continued activities regarding Area/Convoy Security, Control and Mapping and X4-700 Middle Class UAV capable of taking off and landing over vehicles, Mr. Koç shared that this system will have an endurance of 60 minutes with its 5 kg take-off weight and 1 kg of payload capacity, and that it will be able to conduct an uninterrupted flight with its wired version that can be used over the vehicle. He stated that they intended to conduct the maiden flight of this product’s first prototype in 2018. Mr. Koç stated that the X8 system, which is currently going through concept activities, with triple redundant auto pilot and high carrying capacity will be able to carry a 15 kg payload with its take-off weight of 35 kg and he added that they will be revealing this system in 2018 as well. Finally concluding that they launched the conceptual activities for the UAV Class with VTOL fixed wings, Mr. Koç stated that they aimed to form a VTOL fixed wing UAV group that can land on and take-off from vessels, transport ammunition and conduct launches. He stated that they intended to conduct the first flight of this UAV after 2019. Expressing that a total of 38 Bayraktar TB2 platforms within the inventories of the Turkish Armed Forces, National Police and Gendarmerie General Command completed 35,000 hours of flight, Mr. Süngü added that 15 Armed Bayraktar TB2 have been successfully fulfilling their missions. Stating that they launched their activities for the Attack UAV System (Akıncı) project, Mr. Süngü added that they have planned for the maiden flight this UAV soon. On the slide projected on the screen during the presentation, the technical features of the Baykar’s Attack UAV system were displayed as follows: 24 hours of endurance at 40,000 thousand ft service ceiling, 900 kg external – 450 kg internal payload capacity with 5 tons of take-off weight, Single/Dual Turboprop Engine Drive and LOS/ SATCOM data network. The Attack UAV System will be capable of conducting Electronic Warfare, SAR Reconnaissance, Signal Intelligence, EO/IR reconnaissance, Ammunition Transportation and Wide Area Surveillance missions. System Engineering Director at TAI UAV Systems General Directorate Mr. Nevat Polat made a presentation on TAI’s UAV systems and capabilities. Additional capabilities of the Anka UAV system compared to similar systems were shared with participants during the projected presentation. Noting that they accomplished the first firing of the Armed Anka System in May 2013, Mr. Polat added that they conducted the maiden flight of the Block-B system capable of carrying SAR payloads, with 24 hours of endurance at 30,000 ft of altitude to which they added additional capabilities in January 2015 and that the acceptance tests were executed in October 2016. He commented that they revealed the Block-S (first system under qualification stage) to which critical systems such as Satellite control, radio relay, encrypted communication, HD EO/ IR payload, National IFF, etc. were added, as part of the Anka-S program. Mr. Polat also mentioned that they built a Signal Intelligence configuration named Block-SIB in which radar and electronic warfare systems exist and advanced base concept and central control are in effect, for the signal intelligence tasks derived from the Block-B group. In one of the slides in the presentation, the completion of the Block - SIB configuration’s first delivery was announced, and it was also disclosed to participants that the first system of the Block-S configuration was under the qualification stage with its user. The presentation informed the audience that the Anka system supported payload integration in different types with the help of the wide payload compartment and its weight capacity. According to this, the payload options of the Anka System were examined under three categories composed of Reconnaissance Surveillance Systems, Signal Intelligence and Weapon Systems. Following topics were presented: Under the Reconnaissance Surveillance title; EO/IR/LD/LRF Camera System, SAR/GMTI-ISAR Camera and Wide Area Surveillance System; under the Signal Intelligence title; COMINT/DF, ELINT/ESM, HVAS; and under the title of Weapon Systems the 2,75 Laser Guided “Cirit” missile, the integration activities of which were completed, MAM-L and MAM-C missiles and Teber 81/82 general-purposes bombs which were shared for the first time with the public opinion and currently are under integration activities. Extending information on the new platforms within their projections for the upcoming period, Mr. Polat stated that the development activities of the UAV system with a much greater payload capacity and HALE system continued and that they planned to conduct the maiden flight of the 3 tons Weight UAV system capable of carrying 800 kg of payload, in 2019. Mr. Polat mentioned that they aimed to make the HALE UAV system capable of carrying 300 kg of payload with 5.5 tons of take-off weight with longer endurance at higher altitudes. The Vision Sharing of the Land Platforms Group took place during the second half of the day. This session was moderated by one of the consultants of the Undersecretariat for Defense Industries Mr. Özden Özben, and Mr. Yusuf Öztoprak from Katmerciler, Mr. Melih Şahin from Nurol Makine A.Ş. and Mr. Korkut Kibaroğlu from Otokar attended as panelists. As the first speaker of the session, Manager of Defense Products Marketing Segment at Katmerciler Mr. Yusuf Öztoprak made a presentation on the activity areas, products, capabilities and future vision of Katmerciler. Mr. Öztoprak mentioned that Katmerciler conducted activities regarding vehicle equipment in the civilian field while manufacturing tactical wheeled armored vehicles in the defense area and added that the company was expanding more each day with the unique solutions it developed regarding the defense industry. UKAP, all functions of which can be remotely controlled, was designed as a multifunctional vehicle with firing, surveillance as well as recovery operations. UKAP is a tracked platform defined as a “genuine requirement for engagement areas” capable of reaching a speed of 25 km per hour and continuously operating for a duration of five hours. Delegations from land forces scrutinized and obtain information about the Weapon Platform. In the beginning of the design process, the vehicle was initially planned to be manufactured as a firing platform and now Aselsan’s Remote Controlled Stabilized Weapon System is mounted over it. Designed in a modular structure, UKAP can concurrently be used for reconnaissance and surveillance through thermal or sensor mobile cameras and for dispatching ammunition of military units. UKAP can also be utilized for recovery of injured troops and security forces that are caught in the crossfire and the vehicle is expected to become an important solution minimizing casualties in-theater. Stating that they manufactured various tactical wheeled vehicles in different configurations, Mr. Uyar underlined that “Ejder Yalçın” became a brand in armored vehicles and told that this vehicle was preferred by many different users due to both the platform’s superior performance values and the sub systems it was equipped with featuring security components. In his speech, Mr. Uyar emphasized that they delivered 500 “Ejder Yalçın” Armored Vehicles to the procurement authorities thus far. Underscoring that customer requirements played a significant role in Nurol Makina’s perspective of autonomous systems, Mr. Uyar added that within this context, all Nurol Makina’s tactical wheeled armored vehicles featured semi-autonomous characteristics and that both the deployment and management of the vehicles and the control of the disposable loads over the vehicle from 5 km distance could be accomplished. Mr. Uyar mentioned that they had a crucial goal in front of them regarding this issue and said that they are eager to launch a fully autonomous vehicle at IDEF 2019. In the fourth and last panel of the Workshop, moderated by Ms.Özlem Sayın - Group Manager at the Undersecretariat for Defense Industries in charge of Support Ship Projects, the Vision Sharing of the Marine Group was accomplished with the participation of Mr. Kubilay Çınar from Aselsan, Mr. Hakan Altınköprü from STM and Mr. Münir Cansın Özden from DATUM. In his presentation on the unmanned systems employed by Aselsan’s Marine Vehicle programs, Aselsan MGO Unmanned Land and Marine Vehicles Program Manager Mr. Kubilay Çınar informed the audience on the unmanned surface vehicles designed and developed by Aselsan for maritime reconnaissance, surveillance and patrol missions. Mr. Çınar stated that the Unmanned Surface Vehicles they developed were being utilized by the Naval Forces Command in various tests, training and operations especially with mine tests or targeting purposes and underlined that their aim within this context was to build a target group. The R&D Manager regarding Marine Projects of the STM Mr. Hakan Altınköprü informed participants on STM’s activities on autonomous marine vehicles and on the utilization of these systems in the world. Mr. Altınköprü shared that upon the developments in the world, unmanned marine vehicles were categorized under 4 different levels and continued, “The 1st level is composed of Unmanned Marine Vehicles of 0-7 meters in size, used by universities for research purposes, the 2nd level contains armed Unmanned Marine Vehicles developed for reconnaissance which are capable of operating in 2-7-10 thousand meters, in the 3rd level the Unmanned Marine Vehicles operating underwater exist and the 4th level covers the Unmanned Marine Vehicles with longer ranges, over 10 thousand meters. The tasks of these unmanned marine vehicles in the seas are as follows; antisubmarine warfare, port security, maintaining maritime security, surface combat, patrol tasks, Special Forces operation and mine sweeping operations. In the upcoming period certain changes are expected to take place in parallel with our projections in this concept.” Stating that an operation concept in which autonomous marine vehicles of various categories are communicating with each other and acting collectively will be built, Mr. Altınköprü added, “Besides, these systems can be used as rescue vehicles when maritime conditions are unfavorable. We can see the systems capable of operating underwater that enable infiltration to the enemy-held territories. We assess that these systems could be utilized as electronic warfare and electronic jamming.” Stating that as STM they were presently working on an unmanned marine vehicle for interception, Mr. Altınköprü said that they aimed toward maintaining the protection of both civilian and military ports. Finally, the founder of the DATUM , Mr. Münir Cansın Özden, took the floor and conveyed information on the activities conducted by his company to participants.